You are here: Home / Dr. Clifford J. Rosen, M.D. Dr. Clifford J. Rosen, M.D. Dr. Clifford J. Rosen, M.D. is the Director of Clinical and Translational Research and a Senior Scientist at Maine Medical Center’s Research Institute. He is a Professor of Medicine at Tufts University School of Medicine. Dr. Rosen is the founder and Former Director of the Maine Center for Osteoporosis Research and Education. He was the first Editor-in-Chief of the Journal of Clinical Densitometry, is the current Editor-in-Chief of The Primer in Metabolic Bone Diseases, and is an Associate Editor for New England Journal of Medicine. His publications include more than 391 peer-reviewed manuscripts, covering both clinical and basic bone biology. Dr. Rosen has overseen numerous phase II and III clinical trials, funded both privately and through the NIH. He is a member of the FDA Advisory Panel on Endocrinologic and Metabolic Drugs and a former chairperson of that committee. He also served on two Institute of Medicine Committees, and was Chair of the NIH Review Panel for Skeletal Biology and Bone Diseases for 2002-2004. He is the current Chair of the Clinical Trials Review Panel for NIAMS. He was a previous member of the NIAMS Scientific Advisory Board and he served as president of the American Society for Bone and Mineral Research in 2002-2003. 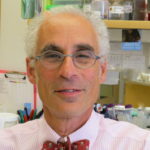 Dr. Rosen’s research interests include the genetic regulation of IGF-I, skeletal metabolism and stem cell fate, PTH as an anabolic therapy, and the relationship between marrow adipogenesis and osteoblastogenesis.